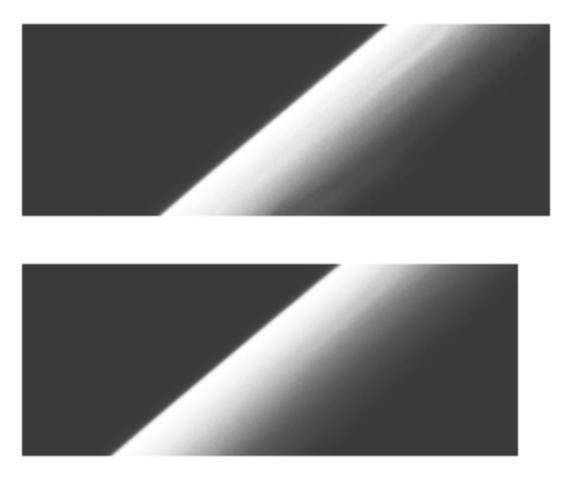 These images show the apparent edge (limb) of the planet Jupiter as seen through both the violet filter (top frame) and an infrared filter (756 nanometers, bottom frame) of the Solid State Imaging (CCD) system aboard NASA's Galileo spacecraft. North is to the top of the picture. There is at least one bright streak clearly visible on the crescent, running roughly north-south (parallel to the limb). It is unusual for such brightness or albedo features to be visible in planetary images taken at such a high solar phase angle. 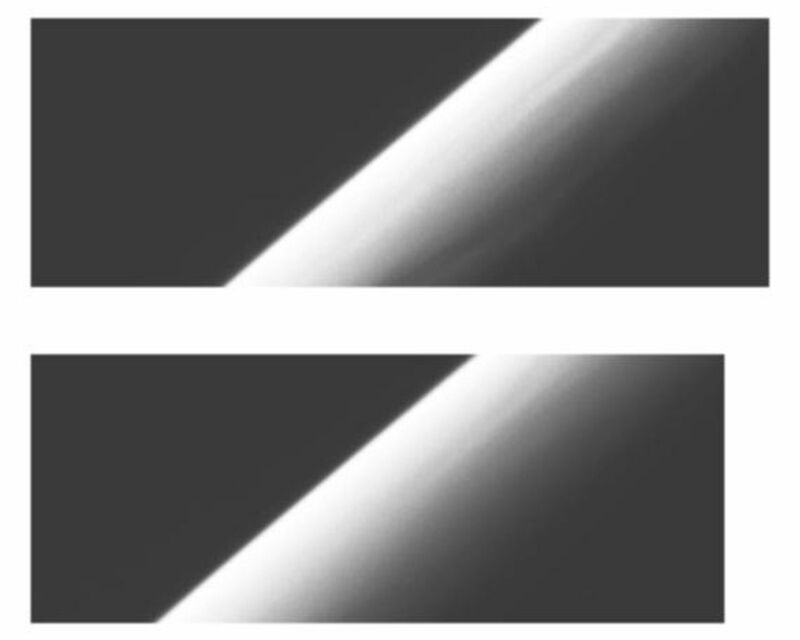 (The solar phase angle is the angle from the sun to the limb of the planet to the spacecraft camera. For this image it was 157 degrees, which means the camera was looking only 23 degrees away from the sun.) 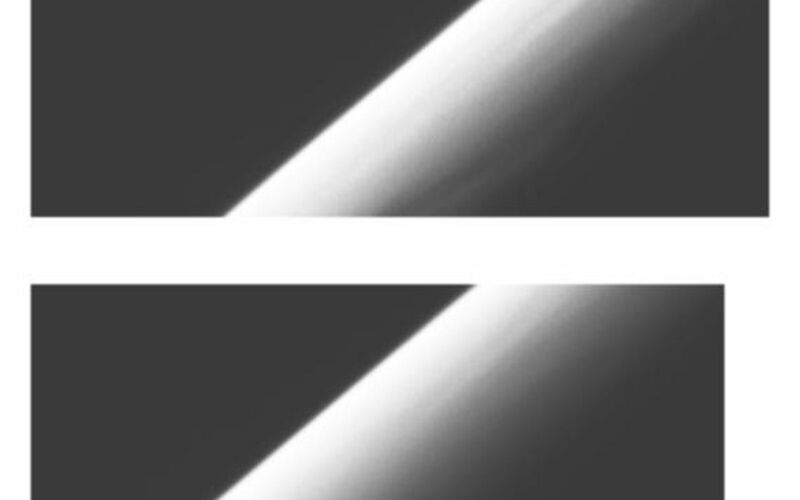 No separate haze layer is visible in these images. 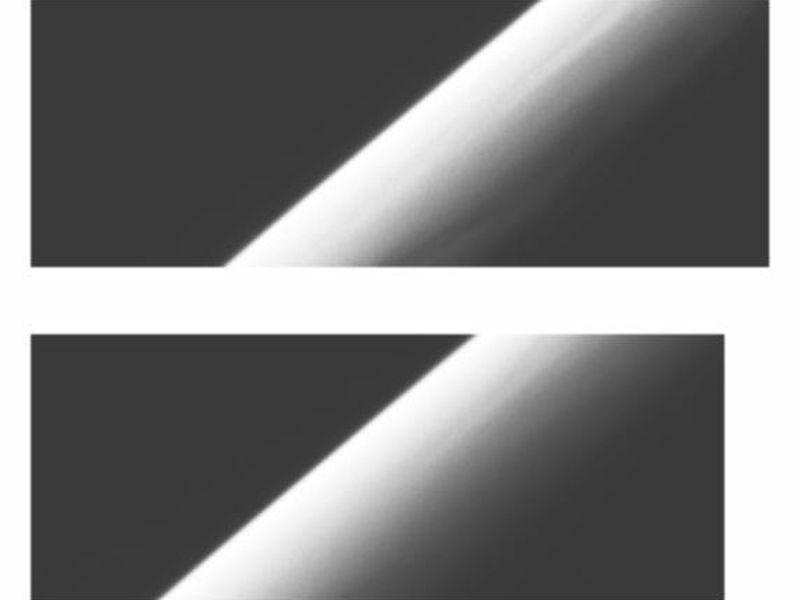 It is possible, but not certain, that if a feature such as the bright streak were seen directly over the limb, it would appear as such a separate haze layer. The images, which show the limb between 60.6 degrees and 62.2 degrees North latitude (planetographic) and near 295 degrees West longitude, were obtained on December 20, 1996 Universal Time. The spacecraft was about 1,561,000 km (21.8 Jovian radii) from the limb of Jupiter and the resolution is about 16 kilometers per picture element.